From April 4-25, individuals and teams from around the world will take part in simple daily activities to reduce their carbon footprints and delve into the world’s most substantive solutions to global warming. At the end of the Challenge, the teams with the most points will win great prizes, including copies of Drawdown and a one-hour video session with Paul Hawken! 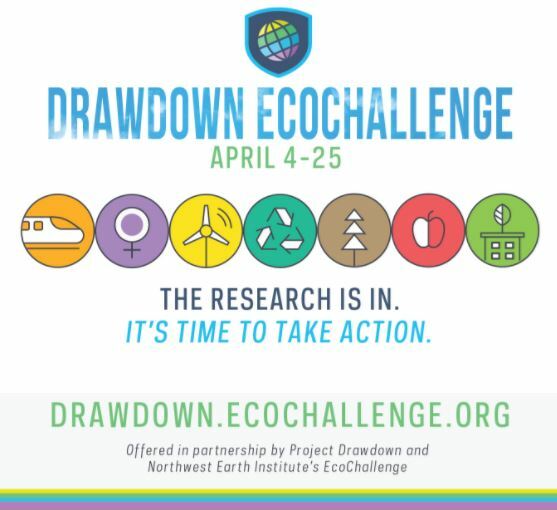 Visit http://www.drawdown.org/ecochallenge for more information!